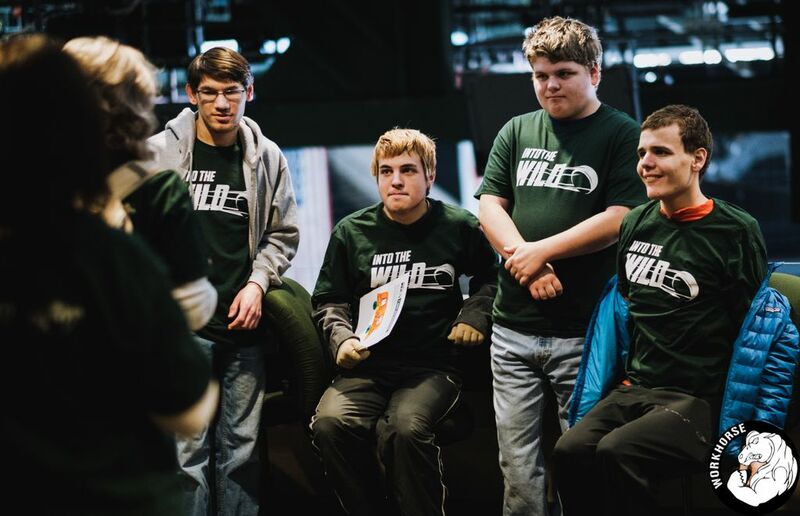 Students with autism receive VIP experience at Xcel Energy Center. For every one out of 68 families in the U.S. who have a loved one diagnosed with autism, a practice run-through at navigating first-time situations can make all the difference. On Friday, Jan. 12, Associated Bank with the Autism Society of Minnesota (AuSM) and the Minnesota Wild brought together 37 students with autism from Spero Academy and Lionsgate Academy for a VIP experience at the Xcel Energy Center in St. Paul, Minn. The three event sponsors teamed up to design a day that both celebrated the fan experience and the students participating. Each sponsor brought something different to the day: with the Minnesota Wild practice and tour, facilitated personal finance activities with Associated Bank volunteers and “I am Awesome” written statements and video interviews with AuSM staff members. A favorite activity also included a chance to make the winning slap shot in the Associated Bank Power Play Zone. The day’s festivities concluded with the highly-anticipated ice cruiser rides around the rink, tours of the Al-Shaver press box and an impromptu chance to sit on the player’s bench. It was a morning of conquering new endeavors and feeling more at ease to potentially attend an upcoming game with family and friends. The practice visit was the first step in a closer relationship between AuSM, Associated Bank and the Minnesota Wild. At the game against the Los Angeles Kings on March 19, the Wild and Associated Bank will sponsor a Stock the BoxÔ event to support AuSM by raising funds for the local autism community. Thank you to all the volunteers from each sponsor organization who made the day’s events possible. And a special thanks to Associated’s Michelle LaMar, vice president, HR and co-chair of the colleague resource group Associated Forward Abilities Network (AFAN), focused on supporting individuals with disabilities and those who provide support to Individuals with disabilities. She was instrumental in introducing Associated Bank to AuSM and establishing a strong partnership for the future.